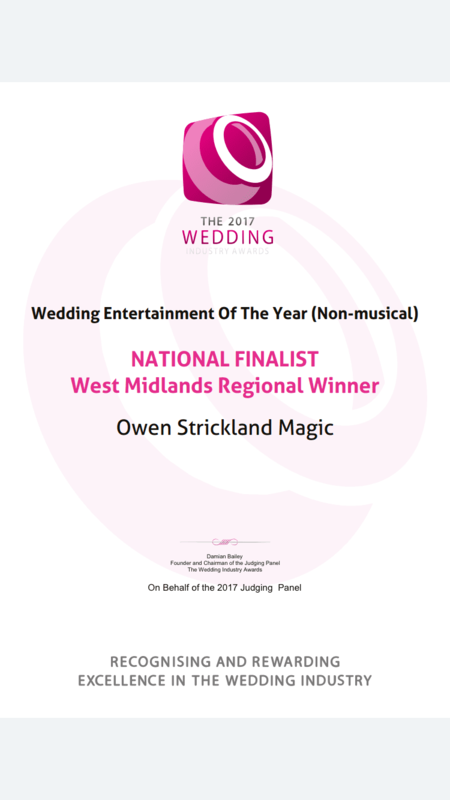 I am delighted, thrilled and honoured to announce The 2017 Wedding Industry Awards Midlands Region Wedding Entertainer of The Year-Owen Strickland. This is such a massive honour for me I’m struggling to express the words! 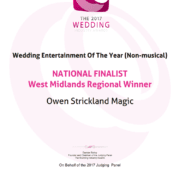 What makes these awards the best, and the most prestigious, is that only Brides/Grooms whose wedding contestants have appeared at can be considered. They have to submit a series of scores about their experience in booking me. 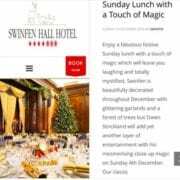 This is from the initial meeting or enquiry, right up to the special day itself. They also have to write a short report about how i performed on the day itself. I had 44 votes from Brides/grooms from Weddings in the last 12 months which is such a lovely honour. .Sadly I missed the awards ceremony as I was in Mexico, but my trophy will be forwarded to me. I now go forward to the National Awards in London In January against the other 6 Regional Winners. This is a very glamorous night at Cafe De Paris In London . 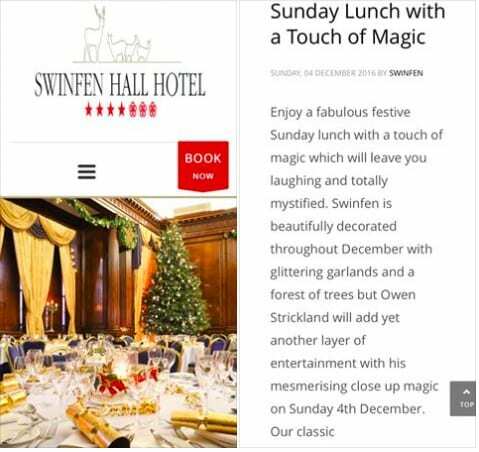 This year it will be hosted by Roger Black. Staffordshire Wedding Magician Premier Suite Cannock.Today I performed at the wedding of Abi. 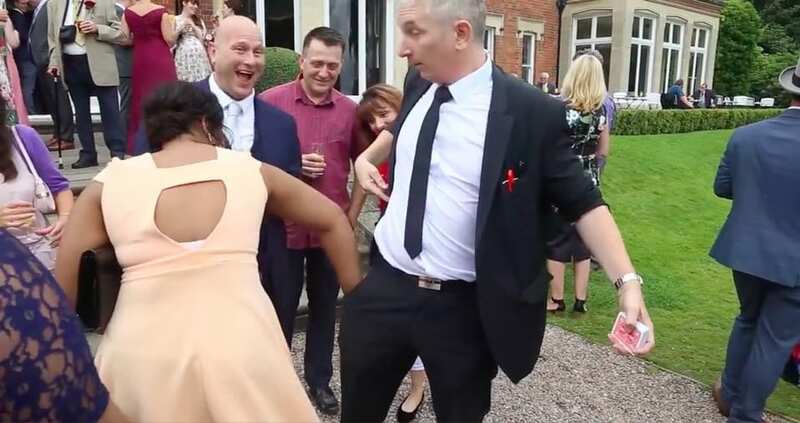 What made this such a special wedding is that Abi is tragically terminally ill. Friends and Family got together and put a special day on for her, and I was honoured to be part of that. There was no sadness on the day, just smiles and laughter. Everyone really got into the spirit of the day and had a great time. I did my special trick i do for Bride and Grooms for the happy couple. It was tough to do but I managed to smile my way through it. 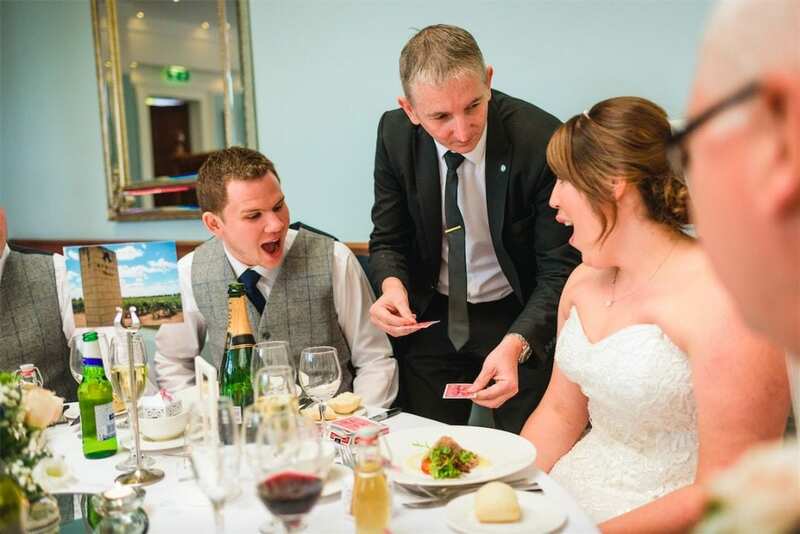 Wootton Park Magic with Warwickshire Magician Owen Strickland-These are some great shots recently sent to me by Bride Vicki after her wedding at Wootton Park late summer. There was just enough light left outside to get them! !